It is the policy of the University to encourage its staff and students to create intellectual property and proactively identify commercially-valuable intellectual property, suitable protection and robust exploitation to the benefit of the Public, University and its departments, staff and students or, at its discretion, allow and encourage its staff and students to exploit such intellectual property on a private basis. MMU shall implement the Intellectual Property and Commercialisation Policy through the Collaboration and Innovation Centre, R&D Division. One of the missions of the R&D Division is to promote and facilitate the transfer of useful technologies to the commercial sector so that the public can directly benefit from the ingenuity and creativity of our outstanding researchers. The R&D Division will strive to find the most efficient ways to take a concept developed by our Originators and turn it into a product useful in everyday life. Once application for a patent or registration of Intellectual Property Rights has been made, the R&D Division will be responsible for the development and negotiation of licensing agreements in order that the Invention is managed in a way, which serves the MMU and public interest. R&D Division shall ensure that where applicable, all applications for Intellectual Property Rights shall be filed in the name of MMU. MMU, as the Intellectual Property Rights owner, shall be responsible for taking all necessary action in enforcing the Intellectual Property Rights including commencing legal action for any infringement of the Intellectual Property. Providing training and awareness programmes with respect to Intellectual Property for Employees and Students of MMU. The Originator shall assist and cooperate with R&D Division in the registration of the Intellectual Property. MMU reserves the right to decide in which countries it will seek Intellectual Property protection. What is Utility Invention (UI)? A utility innovation is an exclusive right granted for a "minor" invention which does not require satisfying the test of inventiveness as required of a patent. 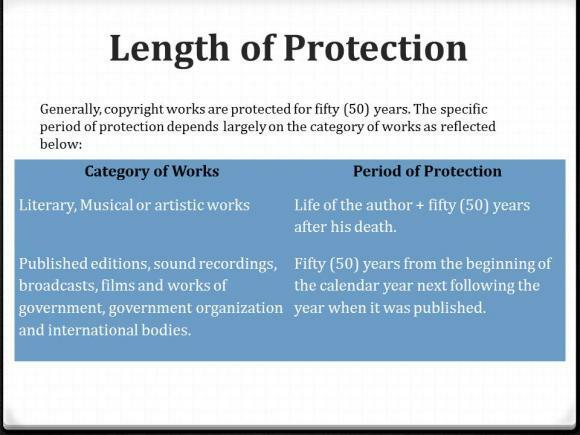 How long does it take for a patent to be protected? The utility innovation (UI) is protected 10 + 5 + 5 years from the date of filing subject to use. How long does it take for a Patent to be registered? It takes approximately 4 to 6 years (varies by case). However, the protection starts as of the filing date. It should be noted that the patent has to be renewed annually, commencing on the 2nd year after grant, to keep it valid. You may keep renewing the patent until the maximum of 20 years. The process of obtaining a patent can be complex. The summary flowchart below will give you a basic understanding of the procedure from patent search to patent filing; and until the grant of the patent. a) Fill in the "Patent Application Form". Note: The forms can be downloaded from Intranet. We highly recommend you to conduct a patent search across different databases (free patent databases on the Internet) to see if your idea has already been patented and to know if we can patent your idea. c) For TM funded projects, please submit along NRIC copies of all IP Creators. For foreigners, please provide their passport copy (first page). Adverse Report: Applicant will be notified to challenge the findings. If it is proven that the application meets patentability criteria, then the application will be forwarded to IPMC, otherwise the process ends here. What does the symbol “tm” and “®” indicate? Should you indicate ® for a not registered trade mark, it is an offence under the Trade Mark Act 1976. What are the filing requirements for Trade Mark? Sample Representation (sample of the mark). Submit the completed form to the Collaboration & Innovation Centre (CIC) at Level 2, The Chancellery Building, Cyberjaya for further processing. The pattern or ornamentation on a 2 dimensional surface, e.g. a design on a fabric. The design features must be applied to an article by any industrial process or means of which the features in the finished article appeal to eye. To be registrable, an industrial design must be new at the date an application for its registration is filed. A design is considered be new only if it has not been made available or disclosed to the public in any way whatsoever in Malaysia before the filing date of the application and it is not on the record the Register of Designs. Filing should be done at the earliest time possible as the claims are based on a "first-to-file" rule basis. Prior disclosure will destroy the novelty of the design. Generally, it takes between 9-12 months for an industrial design application to become registered. the work is made in Malaysia or the work is first published in Malaysia. What Works are eligible for protection? Includes motion pictures (movies), live webcasts that are being saved, slideshows, video podcasts and other audiovisual works. Sounds embodied in any soundtrack associated with a film is included in this category. Includes books, manuscripts, letters, reports, lectures, computer programs, source codes, technical manual, user manual and other writings such as plays, screenplays, and TV scripts. While the musical notes that make up a song is protected as a musical work, the actual recording of that performed notation is protected as a sound recording. Sound recordings are a distinct and independent category from musical recordings because they also includes everything that can be recorded and reproduced that isn’t music, including speeches, sound effects, and audio books. It does not include a soundtrack associated with a film. The guidelines for statutory declaration (SD) application of MMU copyrighted materials can be downloaded from the CIC portal (download section): click here to obtain a copy. Note: For TM funded projects, please submit along NRIC copies of all IP Creators. For foreigners, please provide their passport copy (first page).